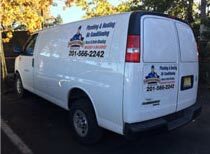 Professional Service provides baseboard heating replacement in north NJ with more than 50 years of professional plumbing experience. At Professional Service, our baseboard heating replacement technicians are fully qualified and trained to deliver great expertise in baseboard heating replacement services in north NJ. Our knowledge of baseboard heating replacement is covering most of the heating replacement system brands that are commonly being used in homes and commercial operations in the north NJ area. We are fully licensed & insured baseboard heating replacement professionals and our HVAC/heating replacement technicians can tackle simple and complicated baseboard heating replacement problems when they may appear over time. At Professional Service, we pride ourselves on attention to details at our work, precision and a great level of customer care. Over our years in business, we have satisfied many clients with prompt and professional baseboard heating replacement services including 24-hour emergency baseboard heating replacement, heating replacement system installations and heating replacement system replacement at any time they needed us. No baseboard heating replacement issues are too major or too small for us to handle, we are here to serve you for all your baseboard heating replacement and repair needs. We understand the importance of keeping your home properly heated, especially during the cold winter months. Hence, whether you need yearly maintenance or emergency baseboard heating replacement repair, we provide 24-hour baseboard heating replacement services in north NJ every day of the year. We offer free baseboard heating replacement estimates in NJ and our rates are very affordable.